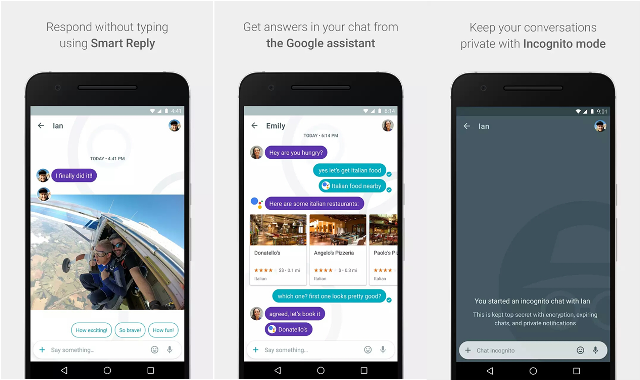 Fresh from Google I/O 2016, we have took a little digging on the Allo messaging app. Here's our list of features to look forward to. The failure of Hangouts did not stop Google from venturing again in the social video and messaging department with its newest apps: the Allo and Duo. The latest mobile applications were announced at the recent Google I/O 2016 conference. With the success of popular apps like Whatsapp, Messenger and Snapchat, the web giant may have a hard time convincing people to use these apps considering that existing competitions have already rooted in the market of messaging service. However, for what it’s worth, we think we’re giving both apps a chance. Allo is a text-based messaging app like Whatsapp and Viber. Its main strength is the integration of the newly announced Google Assistant. To give you a round-up of its main features, read on after the break. This feature allows users to convey emotions while using the messaging app by changing your font size before shooting a message. Users can make text appear large as “Shout” or appear really small as “Whisper” by simply sliding up and down on the send button. There’s nothing new with this feature. Just like on Snapchat wherein you can overlay texts on an image, users may also be able to add texts on photos to express themselves more. Likewise, it is also a home for wide variety of stickers which directly convey users' emotions. The app pushes suggestions for your replies based on the conversation. These smart suggestions or quick replies are essential to keep the conversation moving. Google also stresses that the suggestions improve as you gradually use the app. 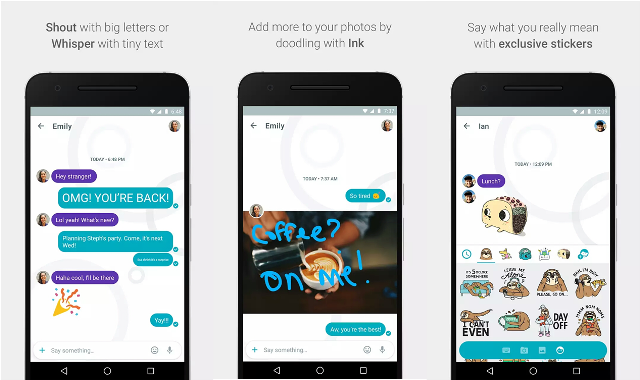 In addition to text, Allo can classify photos and offers smart replies based on image algorithm. This means that it is intelligent enough to determine a dog in a photo; and in a more complex context, it can identify a dog's breed. Google Assistant is just like any other Virtual Assistant in the market only that it is heavily integrated with Google’s 17 years of search expertise. This also means that you can do more without leaving the app. You can plan for a dinner with friends with restaurant suggestions and reservations done by Google Assistant while the conversation is on-going. Likewise, you can also invoke a chat with Google Assistant wherein you can play games and ask queries. This brings Google's search functionality to messaging. Allo comes with Incognito Chat which is powered by End-to-End encryption. You can also set notifications to private and even have expiring chats. With Allo, we could say that Google is serious about its messaging services. The integration with the newly announced Google Assistant which taps into its search capability makes it even more useful in our online conversations. The focus of this app is to have more meaningful conversations and to be able to express ourselves better. It will be available in Android and iOS soon, as a matter of fact, pre-registration of the application is now open in Google Play.